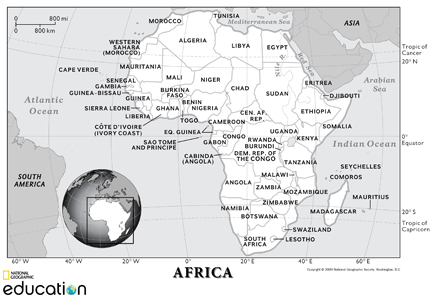 Africa is the world's second largest and second most populous continent, after Asia. It covers 6% of the Earth's total surface area and has 55 sovereign countries—the most on any continent. It is bordered by the Mediterranean Sea to the north, both the Suez Canal and the Red Sea along the Sinai Peninsula to the northeast, the Indian Ocean to the southeast, and the Atlantic Ocean to the west. This continent is a land of contrasts. The great Sahara, the largest desert in the world lies in the north while the central equatorial area is covered by dense tropical rain forests. Farther south, there are a series of grassy plateaus which give way to narrow coastal plains. Especially Central Eastern Africa is widely regarded to be the origin of humans as evidenced by the discovery of the earliest hominids and their ancestors, as well as later ones that have been dated to around seven million years. This continent is a home to the oldest civilizations on the planet and it is a very diverse continent, with each country having its own unique cultures and history. 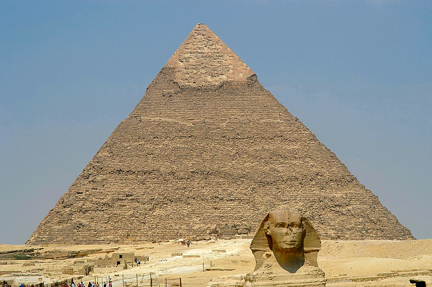 It is a remarkable destination for anyone with a passion for history and ancient civilizations. 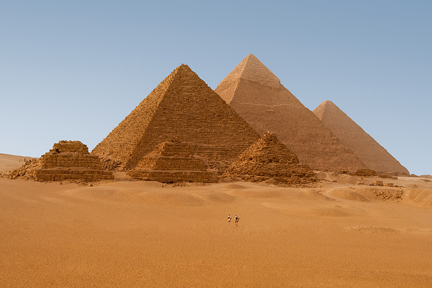 There are many fascinating ancient sites that have been discovered throughout this continent. Some of the most acclaimed sites include the great Pyramids of Giza, the magnificent temples and tombs of Luxor and Abu Simbel in Egypt, medieval Islamic architecture of the medina of Fez and Marrakesh in Morocco, archeological site at Carthage in Tunisia, the Roman ruins at Cyrene and Leptis Magna in Libya. Today it is a vast continent with many bustling metropolises, friendly people, and wonderfully diverse and beautiful landscapes. With rich culture and ancient history of Africa, there are numerous vacation destinations for everyone to visit.